In addition to the many specials throughout the Rockford region, there will be several events happening on Rockford Day throughout the community! 8:15 a.m. - 8:15 p.m. Rockford Area Arts Council-Shumway Market Gallery at 713 E State Street will feature the Rockford Art Guild Exhibit of Rockford inspired work. 8:15 a.m. - Celebrate the start of Rockford Day at 1 Million Cups. 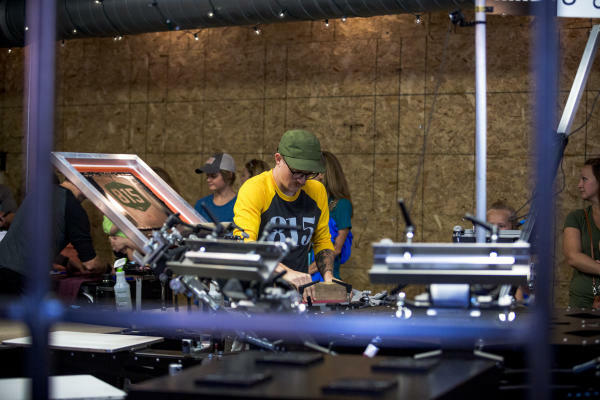 Every Wednesday, Thinker Ventures opens its doors at 9 a.m. for free coffee, networking and to hear from a small business owner and entrepreneur. On August 15, they&apos;re opening at 8:15 a.m. for a pre-1 Million Cups party. Come in for breakfast snack, free coffee from Fresh Horizons and to learn more about 1 Million Cups. A basket give away will happen at 9 a.m.
11:00 a.m. - 1:00 p.m. Patio Party at the RACVB! We will have live music by Andrew Robinson, a bags and plinko game, to win RACVB prizes, Mrs. Fisher&apos;s potato chip flavors to hand out and Franchesco&apos;s gelato. Stop by if you&apos;re passing through, or on your lunch break and enjoy the vibe. 11:00 a.m. - 2:00 p.m. State Street Bridge events. ArtsPlace apprentices will help the community with chalk drawing on the State Street Bridge. The Rockford Dance Company will give performances in the Register Star Parking lot and the Bank Plaza near the bridge. Keep Northern Illinois Beautiful will create an 815 themed community art project using plastic bottle caps. People are encouraged to collect and bring them that day to create the work. 12:00 p.m. Enjoy our region&apos;s agriculture heritage at the Winnebago County Fair. The event kicks off at noon on Wednesday and continues throughout the week. 5:30 p.m. - 8:00 p.m. 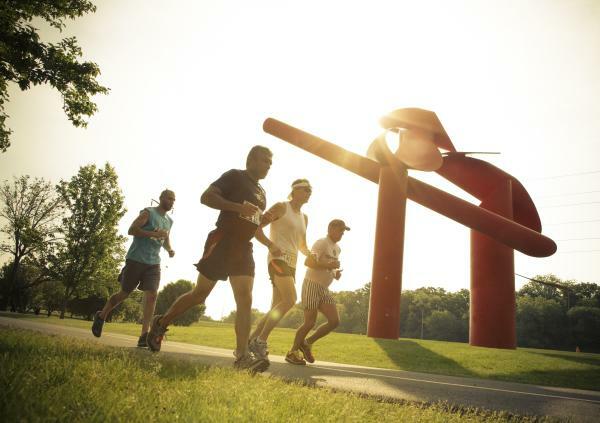 Celebrate what&apos;s good about Rockford on Rockford Day with the 815 Rock and Run. Fleet Feet Rockford will be hosting a free 3 mile fun run and event on Wednesday, August 15th in celebration of Rockford (815) Day from the store in the Edgebrook Shops. Local band Long-shot will perform live music and various merchants will be on site offering specials throughout the evening. Enjoy live music, food and beverages. 6:00 p.m. The Rockford Day Ride is a leisurely bike ride on led by I Bike Rockford and The Element. The ride will start in the parking lot on the corner of Madison and Prairie Streets. It will last about 45 minutes and will end were it started. The ride will be at an easy pace and no-one will be left behind! After you’ve finished the ride you’re invited to join the fun of Rockford Day on the Dock at Prairie Street Brewing Co. There will be a special section reserved on the Dock for Rockford Day bike riders. 6:00 p.m. - 8:00 p.m. Find the pearl in the jam for Pearl Jam tickets! Lori and Kev from The Morning X will be broadcasting live from Pub 815 with your chance to win. The first 104 people will have limited time to find a pearl in a giant vat of jelly. If you find the pearl in the jam, you get a pair of tickets to the sold out Pearl Jam show at Wrigley Field on August 20th. Pub 815 will have specials, including $1 pork street tacos, $8.15 burgers, dual tap takeover with Off-Kilter Brewing and Generations Brewing with giveaways at 8:15 p.m.